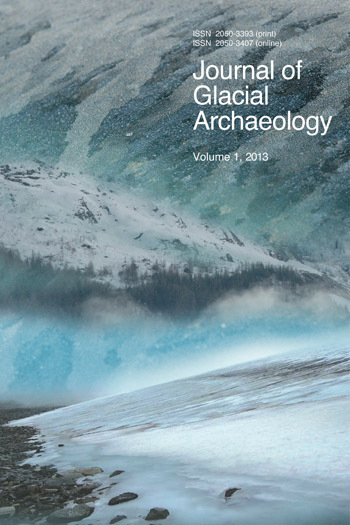 Anthony Harding is Professor of Archaeology, University of Exeter. Susanne Sievers is Vice-Director of the Römisch-Germanische Kommission of the German Archaeological Institute. Natalie Venclová is Deputy Director at the Institute of Archaeology of the Academy of Sciences of the Czech Republic, Prague. 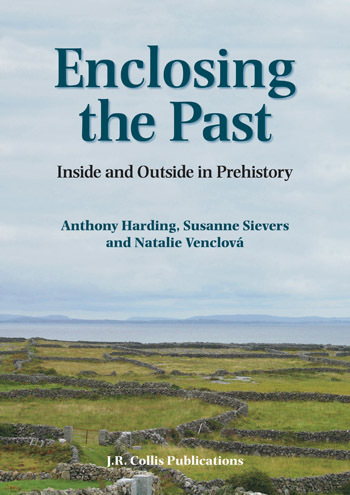 This volume explores how and why people built enclosures in European prehistory, from their first appearance in the Neolithic to the creation of elaborate fortifications in the Iron Age. The articles here originated as a session at the Seventh Annual Meeting of the European Association of Archaeologists, in 2001, and are written by well-known prehistorians from around Europe. They bring new evidence from new discoveries, and new ideas about old discoveries, to a wider discussion of issues that affect archaeologists of all periods. 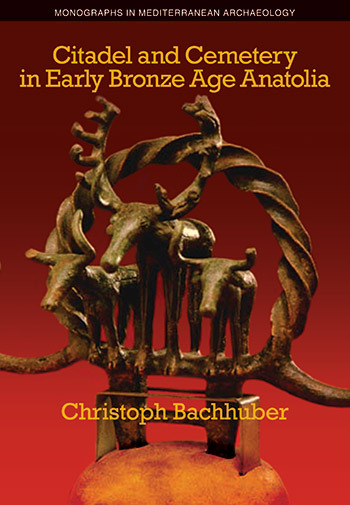 This chapter argues that irrespective of the fact that enclosures and fortifications could have had a practical function and/or social signification, their main purpose in prehistoric Europe (and possibly in later periods as well) was their symbolic significance connected with movement in the vertical direction. This paper presents a survey of the current state of knowledge of large prehistoric enclosures in Bohemia (Czech Republic), a type of feature whose number has increased dramatically with the introduction in recent years of aerial reconnaissance. This paper looks at the discovery, excavation and interpretation (between 1968 and 1978) of a site in Moravia. The site presented a neolithic circular ditched area (rondel) belonging to the Lengyel culture (with so-called Moravian Painted Pottery). In the article, consideration is given to neolithic ‘rondels’ from a pan-European standpoint. This paper surveys the excavations of enclosures conducted at Hambledon Hill, Dorset on a site believed to have been build over a period of 400 years between 3600 and 3200 BC. In particular, it looks at an apparent shift of ‘power-focus’ from east to west in a sector that appears to have been a cultural and economic borderland and examines the different uses put to the enclosures themselves throughout the period. This paper examines the evidence provided by a series of excavations at the Copper Age fortified settlement known as Zambujal. The Iberian Copper Age was a complex and highly regionalized society with certain characteristics of early states. The evidence from Zambujal shows that its walls were intended for defence but not necessarily that all enclosures in the region were build for the same purpose. This paper seeks to shed light on the processes at work during the Bronze Age when the practice of enclosing became widespread. A special case of Bronze Age enclosure — the Bohemian site of Velim — is explored and a model for the development of enclosure in this period is proposed in which special practices, including the digging of ditches and ramparts and the deposition of bone were a way of reinforcing social distinctions. This paper explores enclosed settlements during the later prehistoric period in Britain, with a particular emphasis on the Middle Iron Age, addressing the nature of the acts by which ironwork hoards were incorporated within boundary earthworks on a number of sites. It is argued that these acts may have been related to the definition (or re-definition) of a physical boundary, a barrier that was imbued with a sense of history or a time depth. By constructing physical boundaries, people were seeking to define the character of their communities. Celtic oppida in Central Europe show more or less the same development as undefended open sites, the only difference being fortification. Both types of sites display the same linear elements (connction-lines, closed and open units) which could be of social , ritual or other common functional nature. The various combinations of these elements are typical for different settlement patterns, being dependent on geographical, political or economic factors. The fortifications of the oppida are considered not only as signs for the display of power but also as symbols of the complex network of Celtic life and the danger menacing the late Celtic society. This paper looks at the various functional aspects of the ‘Viereckschanzen’ defined as a kind of multifunctional rural settlement found in southern Germany. These were originally interpreted as being sanctuaries. More recent excavations show different functional aspects both sacred and profane as well as varieties with indications of development from wooden enclosures (fences) to ramparts and ditches, sometimes with traces of palisades or examples with gateways showing traces of unusually solid, tower-like buildings, perhaps a kind of fortification. Such defences may have been a reaction to increasing social instability and danger of attack that was becoming prevalent at the end of the 2nd century BC in the region. This paper looks at various local enclosures (serving individuals, family groups or other small groups of people and located within settlements) and community enclosures (serving whole communities and delimiting whole residential areas, ritual areas, etc.). It is argued that some of the first, but mainly the second type of enclosures reflect types of behaviour typical of elites. This is mainly true of the single enclosures of the later part of the La Tene period, which fill the gap in Central Europe in the settlement structure between the oppida and emporia on the one hand and rural settlements on the other. This article contrasts two areas, one in southern England which has been progressively enclosed since the Bronze Age, the other in central Spain which has largely remained unenclosed; indeed, is still undergoing the process. The nature and circumstances of enclosure are contrasted and on the evidence of how the Spanish landscape is utilised, some traditional interpretations are queried of how the prehistoric and Roman landscape of Wessex functioned.